The subdivision would consist of 49, market-rate, single-family homes off of Route 206, located roughly between Medford Lakes Road and Flyatt Road. The Land Development Board of Tabernacle has granted preliminary approval for a residential subdivision of 49 market-rate, single-family homes off the west side of Route 206, located roughly between Medford Lakes Road and Flyatt Road. The subdivision, submitted by Rockwell Tabernacle, LLC, would consist of lots each measuring one acre or larger, along with several small streets through the development and two open space lots for stormwater management facilities. The applicant’s total property measures 87 acres, and access to the proposed subdivision would be through a single road off Route 206. No other nearby roads behind the development, such as Hidden Acres Drive or Sleepy Hollow Drive, would have access. According to Edward Brady, an engineer speaking on behalf of the developer, plans have been submitted to the Pinelands Commission, and aside from minor alterations, the developer was granted approval to appear before Tabernacle’s Land Development Board to seek approval for the project from the township. Brady said the development would be built in two phases, with the first phase closer to Route 206 consisting of 25 homes, and the second phase further back on the property would consist of the remaining 24 homes. According to Nathan Mosley, the engineer who conducted the traffic study for the developer, the development would generate 46 trips in the peak morning hours from 7 to 9 a.m. and 57 trips in the peak afternoon hours from 4 to 6 p.m.
Mosley said he collected data during a one-week study in mid-December, where he found hourly volumes along Route 206 were close to 1,000 vehicles traveling north and south. However, board members and residents questioned the timing of Mosley’s study, with several noting traffic can be much heavier during the summer when those traveling to the Shore use Route 206. “Which week did you do this? Theoretically, school might not have been in session, and a lot of people could have been on vacation,” board member Mark Lemire said. According to Mosley, the study followed guidelines from the state Department of Transportation, which only require traffic studies for such projects to be conducted no more than 12 months prior to the submission of an application. Earlier in the meeting and at a several points throughout, board solicitor David Frank also reminded the board of its duties to judge applications based only on whether they conform to pre-established municipal ordinances. With that in mind, Frank said the board could not vote based on concerns that, for example, would fall under jurisdiction of state Department of Transportation in regard to highway access, such as was the case with access to the development to and from Route 206. However, Frank said the board could still voice traffic concerns to the state Department of Transportation and ask Tabernacle Council to do the same. In addition to other issues, several residents also raised concerns over the developer potentially clearing the land, only to be unable to sell the properties and homes in the current economic climate. “We’re going to have a developer who’s building likely very beautiful homes, but we’re going to be clearing land when there’s already land cleared on Tabernacle Road that hasn’t been touched because of the same endeavor because of the same struggle,” resident Leslie Schmidt said. 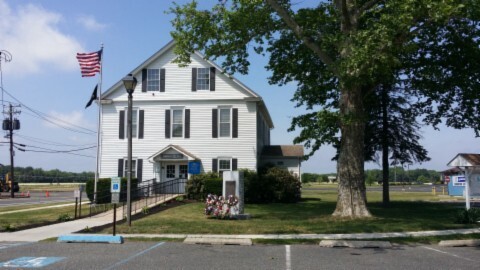 With preliminary approval from the board, the developer would now submit back to the Pinelands Commission and state Department of Transportation before coming back to the Land Development Board in Tabernacle for final approval.